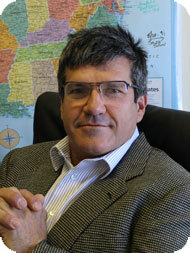 Yacht Broker Ed Biggie : Atlantic Yacht & Ship, Inc.
Ed Biggie is a Broker and Co-owner at Atlantic Yacht and Ship. Ed Biggie was born in Maryland, and he grew up in South Florida. Biggie owned and operated a yacht repair and refurbishing company for several years before beginning a career in the yacht brokerage business in 1990. With over 20 years of experience in the yachting industry, Ed Biggie brings to the table a wide variety of skills and expertise in many areas of his trade. At the age of 18 Biggie was introduced to yachts when he was given the charge of washing a large powerboat, and he was immediately smitten by them. Since that point in his life, Biggie has captained yachts from Maine to Mexico, and has a great deal of experience with the mechanical and technical aspects of a vast array of vessels, particularly sportfishermen. When you are in search of a yacht broker, it is essential for them to have experience with most aspects of the yachting industry and specific crafts. Biggie believes that his clients deserve more attention than is typically offered in the marine industry. For this reason Biggie keeps in close contact with all his customers, seeing them through any upgrades and repairs their yachts may require. He also says he is willing to assist with any issue, boat-related or not.